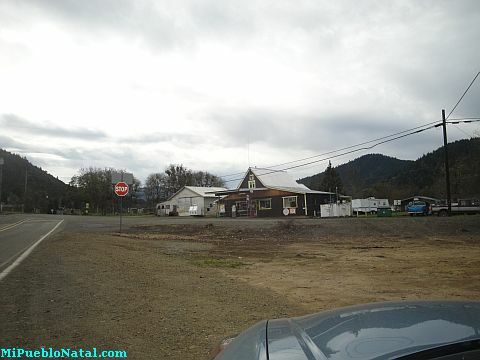 Days Creek is an unincorporated small town located in Douglas County in the State of Oregon. The post office is an old and a small building that was established in 1878. Days Creek can be found along highway 227 and the South Umpqua River in the Umpqua National Forest. Getting to Days Creek is easy. From I-5 get off in Canyonville, the home of Seven Feathers Casino. Turn on third street and this will convert into highway 227. The drive is relaxing because the view of the scenery is beautiful. At one point, highway 62 gets narrow and has a lot of curves which makes the drive a little more interesting. Along this highway you will encounter the towns of Milo, Tiller, and Drew and will end on highway 62. Highway 62 will lead you to Medford if you turn right and to Crater Lake if you turn left. Days Creek Creek can be exposed to the world by writing stories about it but, only its residents (you) can help us accomplish this. So, if you are from there just write your personal experiences and we will manually create the pages. Send us your pictures too. We will love to show off your home town.